This is the first time we stay at hotel below 3 stars ( no offense) surprisingly the twin double decker bedroom , shared shower and toilets are very clean. Nice and helpful staffs, but no free towel. This review is the subjective opinion of a TripAdvisor member and not of TripAdvisor LLC. We are so happy to met you!! 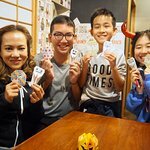 When you come to TOKYO again, please come to ORIGAMI again!!! And have a wonderful today!!! Report response as inappropriateThank you. We appreciate your input. This response is the subjective opinion of the management representative and not of TripAdvisor LLC. Special OfferBest Rate from Here! The price you found is 16% lower than this hotel's average rate of $127/night. Special OfferSAVE 5%! BOOK DIRECT! Offers & AnnouncementsBest Rate Guarantee! The price you found is 15% lower than this hotel's average rate of $193/night. Review tags are currently only available for English language reviews. We stayed here during our stay in Tokyo. If you have a JR rail pass its a bit far and you have to use different metro lines/busses. We did wish we stayed a bit closer because it takes around 40/50 minutes to get from the hostel to Shibuya. The hostel is fine. Beds are ok, a bit hard. The airco was really loud. Big plus was the view from the public area, you could see the Sensõ-ji Temple which is beautiful to walk past every morning. Thank you for your staying our hostel. 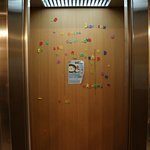 If you enjoyed the stay, we would be happy. Please visit again. All the staff are welcome and great service, always smile. 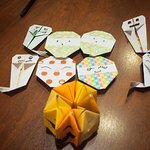 They teach my son to work with Origami paper. The room is clean. The toilet is very good. The distance from metro train not too far but not really close to the station anyway. 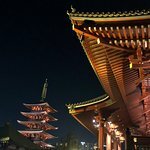 The location is really good because it is close to the Asakusa temple. Many shop and restaurant around there. Thank you for your comment. we are glad hear you enjoyed making origami. if you have an opportunity to come to Japan, please use again. The room with bunk bed was very comfy. The staff was super friendly. We would take tea from the first floor (which is free) and get anpans from across the Matoba Bakery across the street, before starting the day daily. The shared bathrooms and toilets were always clean and did not feel like we missed an attached bathroom. 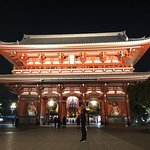 It is near the Sensoji temple so we ended up going there so many times during different time of the day. I am allergic so the smell in the room (Could be a room freshener affected me) so you might want to ask the cleaning service to request for no freshener. Thank you for your comment. Sorry for you were allergic of air freshers. We will keep improving our hostel facility. Thank you so much. See you again. EVERYTHING. Stay here, no need to think or look further. The staff are beyond incredible and super sweet. They have great coffee downstairs in the morning. My husband + I had the private twin bunk bed room. We slept great every night. The 8th floor has games/hangout area that we really loved. Oh and the place is so clean! incredible and super sweet. They have great coffee downstairs in the morning. My husband + I had the private twin bunk bed room. We slept great every night. The 8th floor has games/hangout area that we really loved. Oh and the place is so clean! Thank you so much for staying at Origami :)! We are so happy that you satisfied with our place in so many ways! We really hope to see you again in here x)! Lovely Place, Great Location and staff! 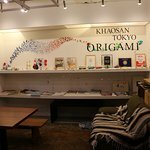 Khaosan Tokyo Origami was my first hostel experience, and they set the bar really high!! I stayed in the 8 bunk beds room and twin room. Even in the 8 bunk beds room, I still got the privacy! The room itself is really clean, there's also a locker in your room. The twin room is even better! 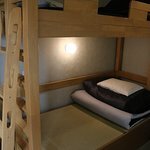 I love the tatami style bunk beds, is really make you warm during the cold days. The bathroom is shared with other guests, but there are a lot of shower room, and in my case I don't need to wait. And the bathroom is also clean, there's enough aminities, such as shampoo, soap, and hair dryer. Beside that, there is a common room in upper level, you could use the fridge, microwave, and kettles. The lobby is super cozy, and the staff was super nice and helpful! 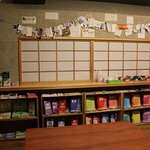 The location is perfect, very close to Sensoji Temple, there are 7 eleven and lawson nearby, and about 10 mins walk to the nearest station. But during nights, the locations was very quite. Definitely recommend this hostel, and would stay here again!! Room tip: Twin room with shared bathroom!